Meditation, when used properly (which is what we’re going to talk about today) can help you find immense clarity for your heart centered business. I know I’ve made some pretty bold claims about meditation, and this one is no exception. But the truth is… they’re all true! And yes – improve your business! I know because I’ve been there, and done that. I even have the logo-branded pens to prove it! Can You Relate to These Business Struggles? I’m no longer happy doing X, what should I do now?! OMG there is so much to do, what to do I do first? Wait, now I feel guilty about charging X! I can feel you all nodding your entrepreneurial heads, so I won’t go on. Those kinds of thoughts and feelings can leave us running toward anything with the promise of hope and clarity. I’ve spent tens of thousands of dollars (nope, that’s not a typo) on business coaches and life coaches, but I STILL wasn’t happy. Why? Because I wasn’t treating the underlying problem. I wasn’t trying to figure out WHY I was bleeding rather than just putting some antiseptic and bandages on my cut. That’s where meditation comes in. Meditation is magical. It brings us back to the present. Meditation also allows us to say, OK, this is what’s happening RIGHT NOW. How can I fix it? That removes the overwhelm and enables us to act with clarity in confidence. Business owners need to have a lot of things, but a clear head is one of the most important things of all. It allows us to connect with our intuition and make the best decisions possible. Often times our first instinct is right. But then we question it, hop into a Facebook group to ask everyone’s opinion, and end up rewriting an email 15 times. By meditating on our business, we connect with our Higher Self and learn to trust our intuition — which helps us avoid that entire cycle. 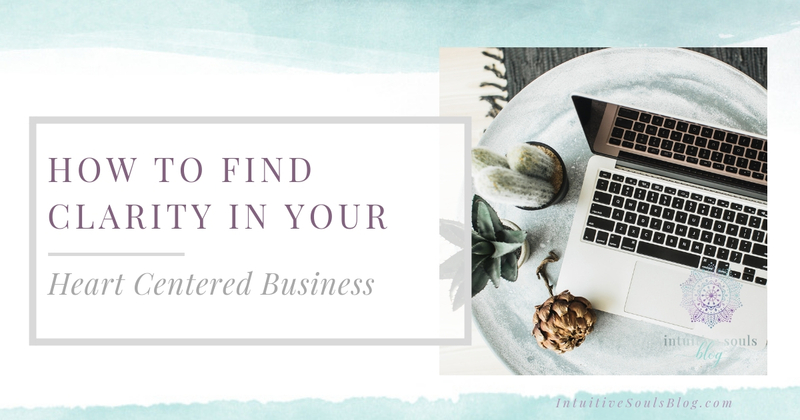 With clarity, business owners can make confident decisions about their business and services, understand their clients’ needs better, and (maybe best of all) remove the overwhelm and actually ENJOY their work! Once that pesky overwhelm is kicked to the curb, we can start analyzing what we actually need to focus on and determine intentional goals. But many of us don’t take the time to quiet our minds. Instead, we show up on a Zoom call with our coach, worked up in a frenzy! 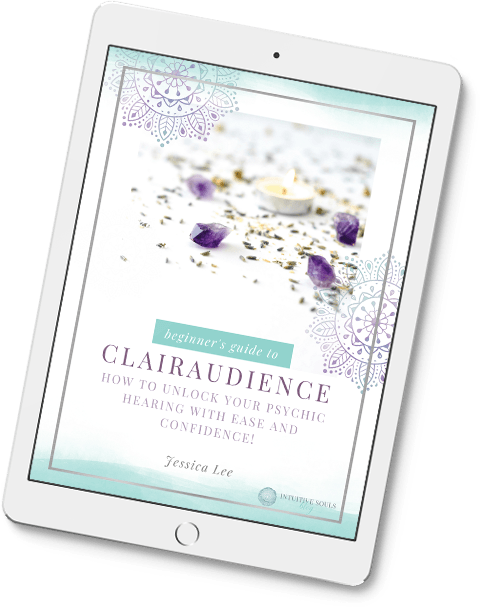 Sure, our inbox is full of gurus ready to help – but when we lack clarity and confidence – we’re left spinning our wheels. Frustration (from our partners who can’t believe we spent that much on a coach… sorry!). But once we’re clear on our focus and connected with the heart of our business through meditation, the right coach can take that vision and get us from step A to step Z. We need to do our part in order for coaches to be able to do their part. Once we’re clear and connected with our business on a spiritual level, we can set clear goals and make level-headed decisions about which coach to work with. Another added benefit of meditation in business is the ability to see the bigger picture. I know I just harped on the benefit of living in the present, but the fact is, once our present is taken care of, the future can easily snap into focus. This doesn’t mean you’ll get a crystal ball (don’t we wish… ). It means that once we know where we are, it becomes easier to see where we’re going. Meditating increases our connection with our ultimate purpose. It helps us see the bigger picture, which enables us to create confident business plans. It helps us roll with the punches and go with the flow! That mindset leads to a sense of trust, purpose, and peace. When it comes down to it, to be happy and successful in business, you need to be able to not get overwhelmed, stay calm and focused, and be able to trust your instincts… and meditation is the answer for that. Those abilities lead to clarity in the services and products you offer, who you work with, and where you’re going. Basically, all the important stuff comes into focus when you learn to focus on it and not the overwhelm. But, how do you actually get started on meditation when it’s all you can do to answer every email you get in your inbox daily?! Well, if you don’t already have a morning routine, get one! It will seriously change your life (almost as much as meditating). Schedule 10-15 minutes a day to sit down and meditate, journal, and dream about your business. You can use a guided meditation app (I’ve used Headspace and Breathe — they’re both great!) or simply put on some relaxing music and dive deep while focusing on your breath. Think of why you originally started your business, what you love about it, and what you would change about it. Try to understand what your biggest problem is right now and focus on just the present situation. Let the feelings of overwhelm and anxiety pass through you by acknowledging them and moving on. Once you’re done, journal about your experience and decide on one or two things today that you’ll do to move you closer to your goal. By making this routine part of your day, you can start to release the idea that everything must be done RIGHT NOW, gain clarity in your day to day, and move forward with intention and purpose. Meditating can also help you understand what’s right for you to be investing in. If you feel guided to spend buttloads of money on coaching, it’s totally cool! But with meditation you will understand why you spent the money, what you want it and the coach to help you do, and where that investment is leading you. Ultimately, practicing meditation can help you be clearer and more confident in your decisions… about coaching, your business, and even your offerings and services.